For the past twelve and half years, Chops has strived to serve our customers with the best concert and marching percussion on the market. Our goal to stock the most common and necessary items and to provide quick-turnaround for instruments and not-stock items has allowed us to create positive relationships with both our manufactures and our customers. Over the last decade, the marching arts have evolved at record pace. 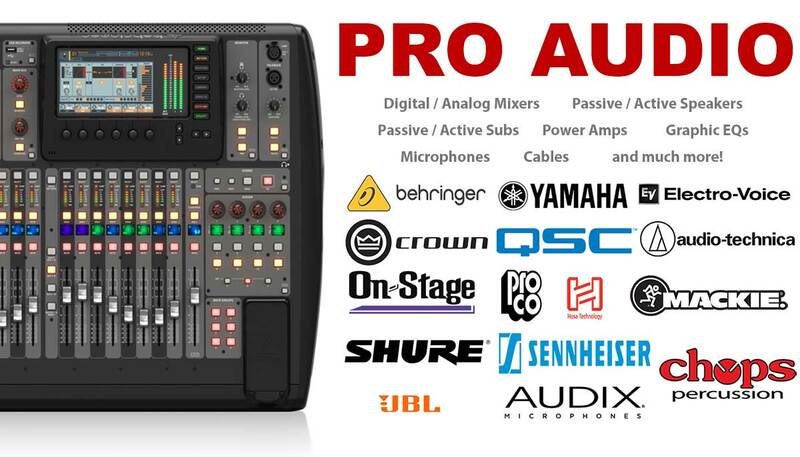 One of the leading changes: electronics and pro audio.